Universal shorts for all those who think durability and functionality should go hand in hand. The de..
Minnsta pöntun er 24 flíkur, þar sem minnst verða að vera 6 í hverri tegund (t.d. 6 .. SIZE CHART Take your measurements Chest: measure around the chest horizontally a.. SIZE One Size Fits All = 58cm .. The Finer Details Aggressive styling and race-ready performance are the hallmarks.. The Finer Details Just because you're not built like a "king of the mountains contender" do.. The Men's ELITE Pursuit Jersey, one of our best-selling cycling jerseys, has been updated .. Put on our warmest cold-weather bib tight and you'll stick to your training plan no matter how c.. Ideal for unpredictable weather, the ELITE Barrier Jacket delivers wind and water protection in a li.. The Finer Details This lightweight wind and water-resistant jacket offers cool-weather protecti.. Mother Nature's chill doesn't stand a chance against the all-new ELITE Softshell Gel Glove, the wint.. When the weather gets iffy the Men's Pursuit Thermal Cycling Bib Tights are the solution. These .. The lightweight Women's ELITE Escape Jersey combines performance benefits with the pure pl.. Inspired by the ever-functional road jersey, the Women's MTB LTD Jersey has three back poc..
Luxuriously smooth fabric and motion-inspired design make each jersey in the Women's SELEC..
Frábært skjól frá Kára. Þunnt og þægilegt. Fyrir 3-10°C ..
A perfect introduction to real mountain biking baggies, the Canyon Short is designed with a looser f.. Benefit from the performance of a bib short, but don't bust your budget with this updated Pearl Izum.. The best piece to have next to your skin as part of a layering system for riding in damp or wet .. 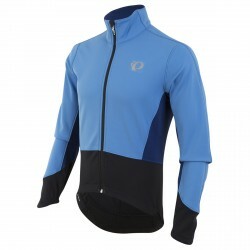 The ELITE Pursuit Softshell Jacket provides weather protection at an attractive price point, wit.. Earn a cold weather Queen of the Mountain crown with the all-new Women's ELITE Pursuit Softshell..